Quick summary: Bees pollinate at least a third of everything we eat and play a vital role in sustaining our ecosystems, therefore they need to be valued and protected. This lesson uses the jigsaw classroom method to facilitate student inquiry into the threats faced by bees. Students become experts in one threat faced by bees by reading information, then work with their group to make sense of what they have read. They present what they have learned to their peers. Students will apply their new understanding to create an Effects Wheel to explore the flow-on effects of threats to bee populations. What are the threats to bees? What are the consequences of those threats? How do humans support bees? How do bees impact upon Planet, People and Profit? Cross-curriculum priority: Sustainability OI.1, OI.3. Relevant parts of Year 6 HASS achievement standards: They describe the rights and responsibilities of Australian citizens and the obligations they may have as global citizens. Students recognise why choices about the allocation of resources involve trade-offs. Relevant parts of Year 6 Science achievement standards: They describe and predict the effect of environmental changes on individual living things. Resources required: Student Worksheet – one copy per student OR computers/tablets to access the online worksheet. With Bees vs Without Bees pictures, projector, Bees Under Threat Factsheet set (print enough copies so that groups of four will all have one set), Effects Wheel Template (print one per student), Hive of Reflection print-out. Butcher’s paper, textas, pencils and highlighters (optional). 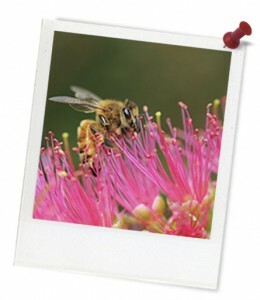 Keywords: bee, sustainability, threats, ecosystem, symbiosis, food, consumption, biodiversity. 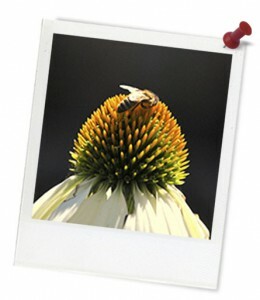 Overarching Learning Goal: Students will understand the varied threats faced by bees, and make connections to the flow-on effects in the ecosystem. Students will understand how social, environmental and economic impacts of declining bee populations. Thought Starter: Are bees around the world in serious trouble? Explain why you chose that colour: Explain the symbol a little more - why did you choose it? How does your image illustrate what you learned?